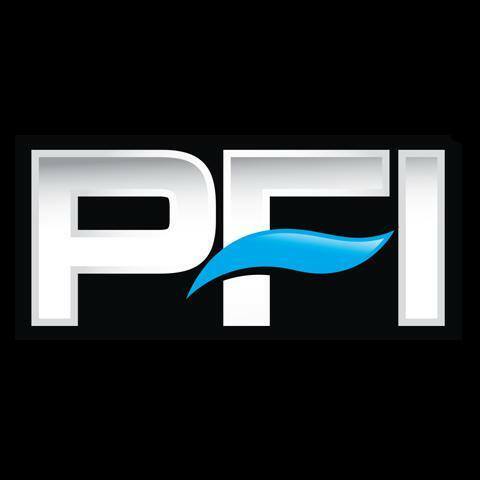 In the twelve years since PFI’s [Performance Freediving International] inception and the seventeen years since its first concept was developed, we continue to be the industry leader in the sport and recreation of Freediving. Not only have we in all our iterations worked with seven athletes to 22 world records, too many national records to recount, work with the world’s top spearfishermen and women, develop the industry’s most complete industry specific standards and instructor programs, but are also contracted to work with the world’s most extreme and special operators with Red Bull and the Special Forces. We’re the company, the world’s best and most extreme call upon. Now PFI enters a new generation in this on-going development. In the past our national and world record athletes have been our students and instructors. But this past May at Déjà Blue III we also witnessed two amazing US National Records fall by students of our instructors, the next level of development within PFI. Many PFI Instructor candidates at the end of the program require some additional training. This isn’t because they’re weak candidates upon entering the program, to the contrary. It’s because our expectations and requirements are very high, very strict and we feel it’s in the best interest of the candidate and their future students to be 100% ready. With Steve Benson of Greenville, NC setting the static apnea US National record to 7:42 and Nick Mevoli of Brooklyn, New York completing a 91m constant ballast freedive for a US National Record we have entered a new era. Having been trained by Ashley and Ren Chapman of Evolve Freediving and Ted Harty of Immersion Freediving respectively, PFI associated affiliate instructors and companies we now show that the training standards and methodologies work. ‘The proof is in the pudding’ so to speak. So as our list of instructors continues to grow worldwide rest assured that you’re working with instructors of the highest caliber and adhere to the strictest industry training standards and methods. While every other certifying agency including the new emerging ones jumping on the Freediving band wagon loosening up the training standards to make it easier to ‘gain market share’ we are heading in the opposite direction from the herd. We’re continuing to tighten up and make our instructor training standards more rigorous. How would you feel if while on your first 100ft/30m depth during your course your instructor by standards was allowed to stay at the surface? Not only is your PFI Instructor required to be within 15ft/5m of you at all times on every dive and have the ability to intervene during your dive, but we’ve recently introduced a new ‘capacity’ requirement. During the Freediver Instructor course, candidates are now also required to show ability of three 66ft/20m freedives all within a maximum surface interval of 2min while solving problems at depth and briefing and debriefing on the surface. How would feel knowing that 100% of instructors going through their program passed? Are instructor trainers that amazing and their students that good? Or are the standards and requirements that easy and loose? Is the instructor trainer that worried about hurting someone’s feelings that they don’t like to put a candidate on hold for more training? The 100% pass rate in my opinion isn’t training, it’s going through the motions. Now what does it mean if you’re not on the completion side of the roster? For most it means an ‘audit’. This means that all is good but we feel that you could use the experience of watching and assisting with a full course from start to finish. Audits have very specific requirements and are very active. You won’t be sitting back and watching, you’ll be front stage engaged. Audits can also mean fulfilling specific capacity requirements, skills dives, stress tests (what does that mean? Only our instructor candidates will ever know and only discuss it with each other) or other aspects. Lastly some candidates may be required to go through the complete Freediver Instructor program again. This isn’t for our monetary benefit. We allow a 2nd redo at no charge (less travel expenses, etc…). It is for the benefit of that instructor. It is so that the candidate isn’t release onto the world unwittingly. For more information of PFI Professional Programs visit our website.